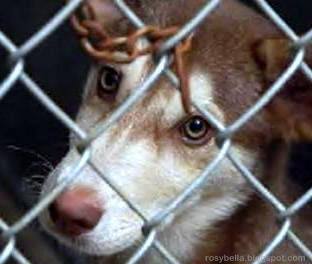 Cruelty to animals is becoming one major concern today in line with human abuse and sexual harassment. A lot have been doing animal killings just for the sake of business. We have to realize that just like humans, brutal killings to these animals is immoral and should not be tolerated. By showing that you care for this issue, I encourage you to sign your petition at www.stophurtinganimals.com and let's all create a big voice for the world to to hear and realize that we can stop this social cancer from spreading especially that from China in which they are raising animals for their furs. The campaign needs our support to stop unethical animal torture and abuse. This is a Sponsored Post written by me on behalf of Nexx Inc. All opinions are 100% mine. Social media has become a community where people are now mostly hanging out during their free time. Actually, it is now a necessity in the mobile lifestyle that we have today. People of all walks of life are getting hooked into the social networks. For this reason, a lot of businesses find this as a great opportunity to market their products online and establish ecommerce sites. Venturing into this kind of technique is very essential to businesses as it is proven to be an important factor that increases sales turn-around. Incorporating your business with social media also helps build the reputation of the company faster as it provides an overwhelming exposure like no other. Before establishing a reputable ecommerce site for your business, getting a reliable web hosting service is critical. Most companies prefer using the Unlimited Web Hosting package to give priority to the disk space and bandwidth that they will be acquiring. One company that offers this kind of service is Nexx Inc. They are currently offering a special promotion of $10 worth of unlimited hosting for the first year. Along with this offer, the service also assures customers of 24/7 full customer service and Ad credits of $50 each to Google Adwords and Facebook Ads. If you think life is complicated, I guess you are right. 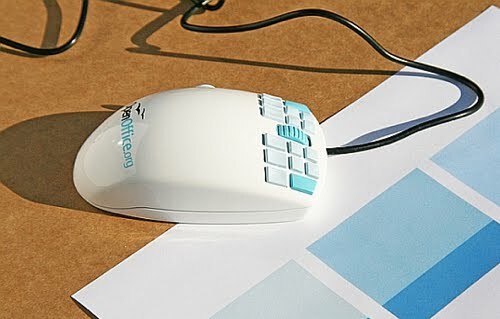 Open Office recently introduced a mouse that has 18 buttons which are all programmable. So, one requirement for this is you need to have a good memory to recall which button does this and that. I still believe in the saying that "less is more" and "simplicity is beauty". I would never spend time getting used to this mouse because a simple right click, left click and scroll will do for me. It probably does other stuff faster but the time you have to exert in looking which button on the mouse you click is no short cut. It stresses me (laughs). I was home alone yesterday and I got bored so I decided to go Mall of Asia since it's just a few kilometers away from my condo. Yeah, I know it's a Saturday so you will normally see a lot of crowd in the malls spending time with their families and dear ones. Well, to avoid the swarming crowd inside the mall, I just went inside a coffee shop and browsed the net for a about an hour or two. After a sip of caramel macchiato, I hopped on to some of the optical stores nearby and window-shopped for some latest eye glasses and eye wears. I kink of liked the plastic eyeglasses that I see online because they are light weight and will not stress my nose bridge that much even if I wear it the whole day. My existing eyeglasses is actually made of plastic and I have been using this since college because it is comfortable and stylish. If ever I will be replacing this one, I would go for the plastic eye glasses as well. We Filipinos are so fond of celebration (known to us as handaan). From the usual birthday parties up to the ever famous town fiestas unique to every province, Pinoy handaan has become a part of our tradition making us unique to all other races. Throwing a party makes sure that every wonderful moment in our lives becomes memorable. Regardless whether it's a luxurious or a humble celebration what matters is we are having a wonderful time with our loved ones. Enjoy your day everyone!